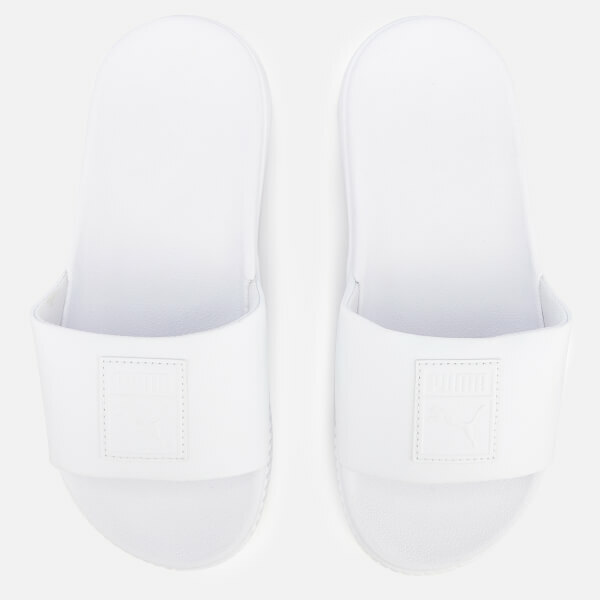 White flatform slide sandals from Puma. 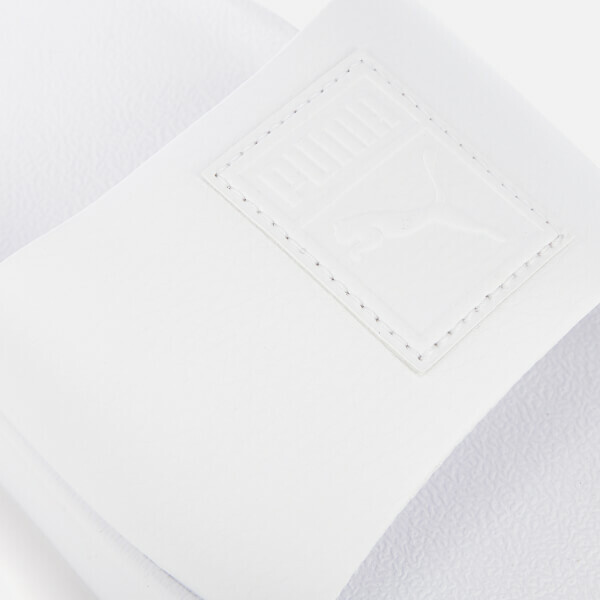 Set upon chunky moulded EVA midsoles for durability and superior comfort, the lightweight summer slides feature a soft, padded premium upper crafted from faux leather with a debossed Puma badge stitched on the strap. Upper: Synthetic Leather. Lining: Textile. Sole: EVA.